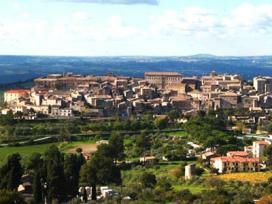 During the middle age, the towns of Amelia, Todi and Orvieto fighted to have the control of Lugnano. After the victory, Orvieto kept the power of Lugnano for very long time.Lugnano in Teverina today is worth a visit expecially for the chuch of Santa Maria Assunta, a romanic jewel, characterised by a wonderful porch with columns. Inside the church is on three different levels, of which the lower is the crypt and the upper the chorus. Since 1988, the town has been growing in popularty due to the discovery of a Roman House. From latin writers this place between the Tevere and Rio Grande rivers, hosted a rich colony of roman nobility, by which fact it can be argued that others discoveries could still be possible.